Thu., Jan. 19, 2017, 7 p.m.
A construction firm working on several high profile projects downtown offered the lowest price to build a new home for Spokane’s historic Looff Carrousel: $7 million. Walker Construction, Inc., the company responsible for renovation of the previous downtown Macy’s department store and the Spokane Transit Authority Plaza, has offered to build a climate-controlled shelter for the 109-year-old attraction at a cost of $7,064,600, said Fianna Dickson, spokeswoman for the Spokane Parks Department. The low bid is about $29,000 more than what was budgeted for the new building, but is within the contingency amount set aside for the project. “We were really pleased to see the bid come in within our budget,” Dickson said. NAC Architecture, a firm with offices in Spokane, Seattle and Los Angeles, provided the design for the new building, which will be the second feature attraction built as part of Riverfront Park’s $64 million renovation. Voters approved a bond for the park’s redevelopment in 2014. In December, the Park Board approved a deal with Contractors Northwest, Inc., of Coeur d’Alene to build the ice ribbon skating facility at the corner of Spokane Falls Boulevard and Post Street. Looff Carrousel, named for its designer, Charles Looff, closed Jan. 2 for dismantling and demolition. The current construction timetable calls for the new facility to open by Valentine’s Day 2018, in the same location it has inhabited since its installation after Expo ‘74. The current shelter served as a Bavarian beer garden during the world’s fair. Bette Largent, the Looff Carrousel preservationist, said the carousel horses have been moved to storage and workers are now dismantling the 18 tons of machinery that powered the attraction through its appearance in the old Natatorium Park and for decades as part of Riverfront Park. Demolition of the old building is slated to begin Feb. 1, Largent said. The new building will also include a space to display pieces of the carousel’s history, including the copper horse that sits atop the existing structure, and expanded room for events. 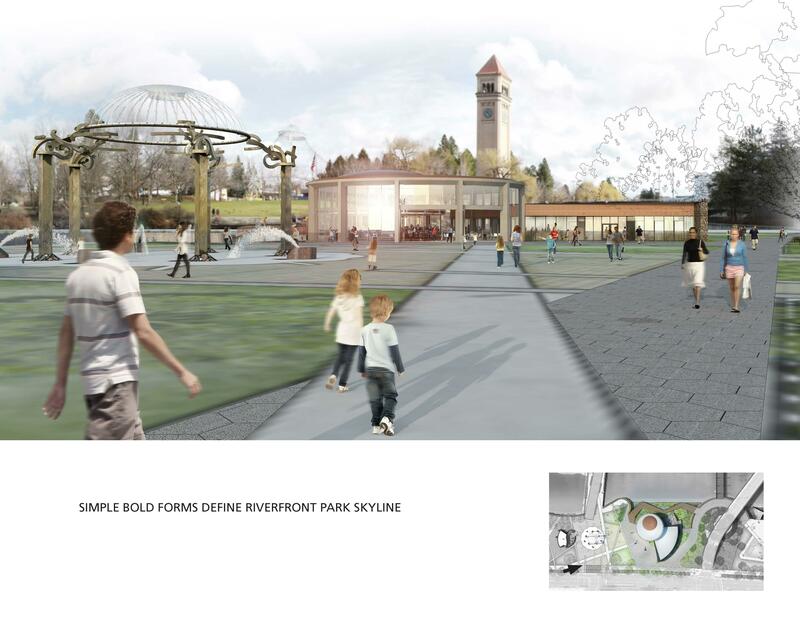 The Spokane Park Board is scheduled to consider Walker Construction’s bid at its monthly meeting, which will be held at 8:30 a.m. Friday in the lower level of City Hall. Representatives of the Spokane Tribe of Indians will present potential new names for Canada Island in Riverfront Park, following an announcement during last summer’s Gathering at the Falls Pow Wow. Spokane Park Board President Chris Wright said two options, which will be publicly unveiled Friday, had been sent to members, both in the Salish language. After the announcement, the public will be given time to provide feedback on the options, Dickson said. The Spokane Park Board could vote as early as February on a renaming. Friends of the Centennial Trail will also appeal to Spokane Park Board members to set aside more than $1 million to repair the Don Kardong Bridge, a pedestrian span that links Gonzaga University with the east side of downtown. City Councilwoman Lori Kinnear, a past board member of the trail conservation nonprofit who will help make the pitch Friday, said the combination metal and wood bridge is in dire need of repairs to its deck and railing. The Centennial Trail is policed by park rangers from Washington and Idaho, Kinnear said, but local municipalities are responsible for upkeep. The group estimates the cost of bridge repair at $1.2 million. Wright, the park board president, said the cost is less expensive than the repairs currently underway in Riverfront Park, particularly on the Howard Street Bridge, which is expected to cost up to $7 million because of structural deficiencies. Published: Jan. 19, 2017, 7 p.m.